A veterans charity’s first Scottish café hub has started brewing up a storm in Hawick. It’s run by FirstLight Trust which helps former members of the armed forces and emergency services who may be struggling and aims to be a welcoming spot for the public and veterans alike. 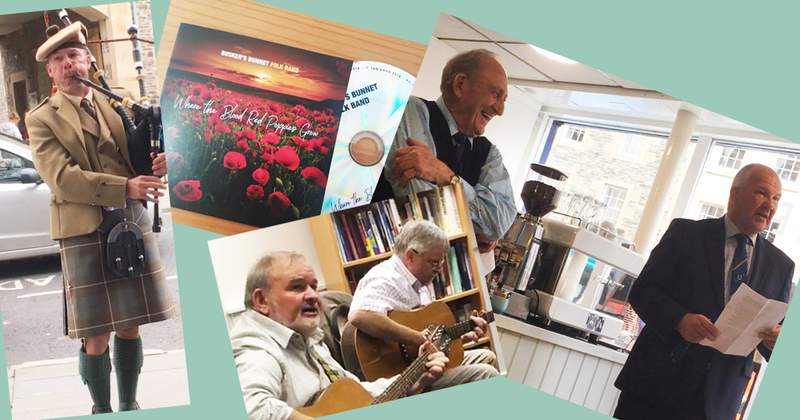 The FirstLight café hub’s official opening was attended last week by local councillor and Hawick Provost Watson McAteer, MP John Lamont, charity trustee Lady Jane Grosvenor and veterans. The café bar, Sharpe’s, sits within the FirstLight hub on Hawick High Street. It takes its name from the soldier played on TV by Sean Bean. It offers a range of coffee roasts from the Baytown Coffee Company, specialist Tea Pig blends and delicious treats including scones. Borders Council gave a grant towards the coffee machine and white goods. The charity plan to use the café hub as a base from which to run modules to help ex-military and blue light veterans get back on their feet. Hawick follows in the footsteps of five English café hubs and more are planned for Scotland. The FirstLight Trust café hub can be found at 1–3 High Street, Hawick TD9 9BZ. It’s open Monday – Saturday 9am – 5pm.